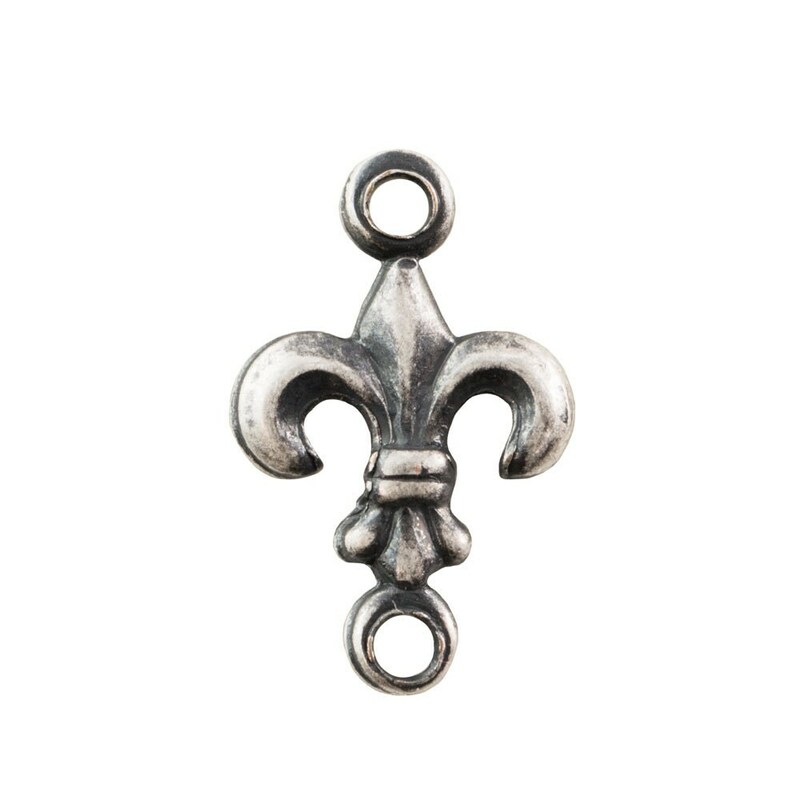 •Characteristics: Two loop connector with a Fleur De Lis pattern. Concave back. •Color: Matte Sterling Silver Ox. •Material: Matte Sterling Silver Ox Plated Raw Brass.